to dance with the thought of rain. 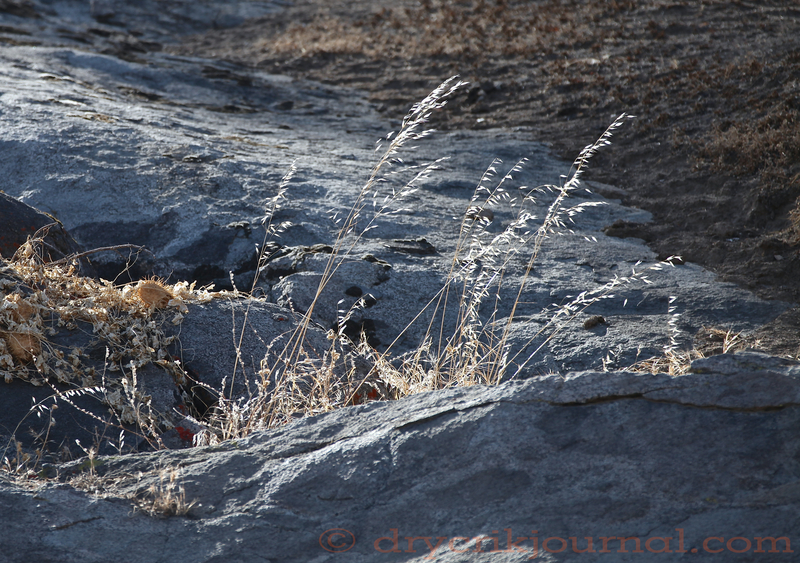 This entry was posted in Photographs, Poems 2015, Ranch Journal and tagged Drought, Dry Creek, rain. Bookmark the permalink. Deluge or drought, the earth is a magnificent place, isn’t it . . .
Earth and flesh, much the same. A weather man said today, “another year and a half of this and California will be out of water”. Will a mass exodus follow or will they continue to build more housing? Los Angeles is going to spend $1.4 billion fixing its sidewalks instead of replacing water pipes that burst almost daily wasting thousands to millions of gallons a day. Yet they’ll pay to take out your lawn. Raise the price of water on home owners to pay for the waist. More austerity. Sometimes it’s hard to make sense out of policy that focuses on the parts instead of the whole. But if this keeps up, the parts addressed will seem insignificant. Hard also to find much hands-on experience in government. Let’s hope for relief for all of California. I hope you got some of the rain we had here early today. Such a glorious feeling to wake in the early morning hours and hear the rain pelting the windows. Just starting to sprinkle and blow.